The Defroster test lamp is an inexpensive way to test automotive rear window defrosters and identify broken defroster lines. Less expensive and easier to use than a volt meter the test lamp features two long wire leads attached ideal for testing rear window defrosters. One lead has an alligator clip while the other has a rounded no scratch soft probe end. By moving the probe over the defroster it is easy to see if the defroster electrical circuit is working and to find those small breaks in the defroster grid. Rear window defrosters fail for many reasons. The vehicles defroster circuit may not be supplying voltage, the defrosters tabs are not making a good connection to the defroster, the defroster grid lines are damaged or the grid is not grounded adequately. The Frost Fighter Test lamp makes it easy to troubleshoot and find defroster damage. With the Frost Fighter test lamp it is easy to troubleshoot and find defroster and demister damage. All testing should be done with the defroster on. 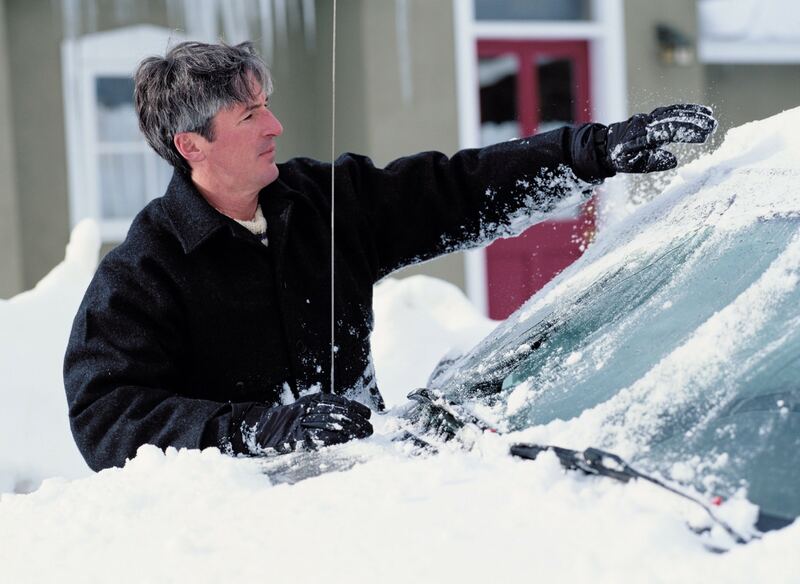 Defroster testing is easy and the repair is easier! 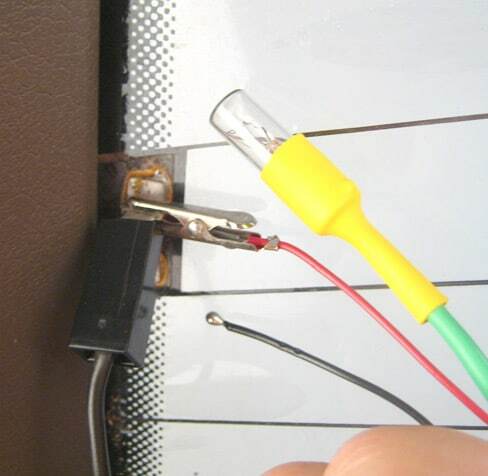 Connect the alligator clip to the tab on the defroster and place the test lamps black wire lead on the other tabs metal base. The test lamp should glow brightly. If the lamp does not glow, the vehicle’s defroster circuit is faulty and should be checked for shorts, blown fuse or damaged relay. Clip the red lead directly to the defroster tab then place the black lead directly on the defroster next to the tab. The lamp should glow brightly. If not, the tab is not making a good connection to the defroster. Remove the tab and re-attach it with the Frost Fighter Tab Bonding kit. The smallest break or crack in the grid can cause the defroster to fail so careful visual inspection is needed. When moving the rounded no scratch lead along the defroster grid when you encounter a break in the grid you will see the lamp flicker or go out as you pass over it. Mark the damaged area with tape. 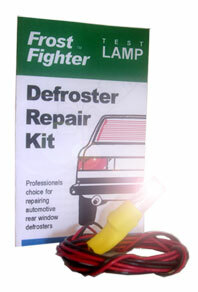 Repair damaged defroster grids with the Frost Fighter Grid Repair Kit.